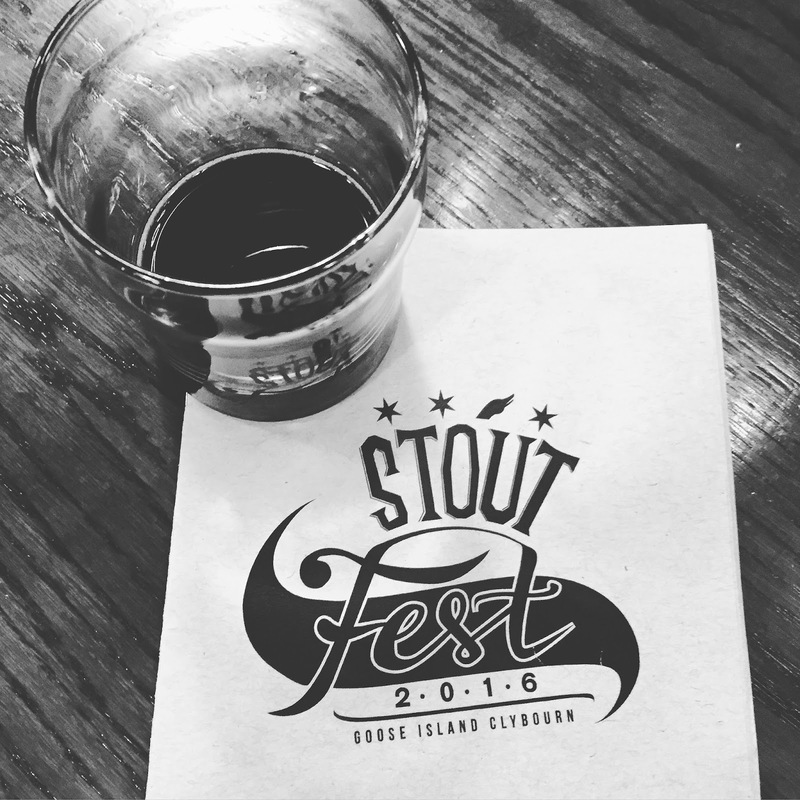 If you're a stout lover, you will happily pass up green, watered down beer on St. Patrick's Day weekend and hold out for Goose Island's Annual Stout Fest. With a list of over 100 dark, flavorful and high octane stouts to choose from, strategy is always essential. 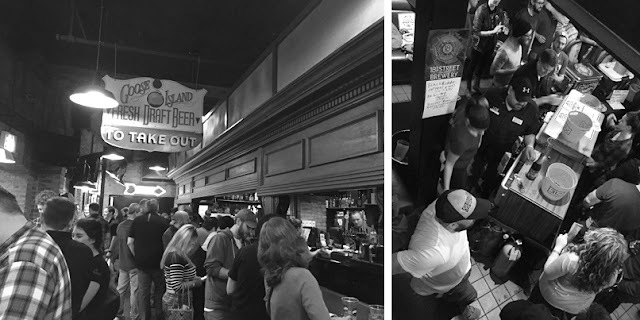 We were on the lookout for some of the new breweries in attendance, as well as rare beers by some of our favorites such as Goose Island Clybourn, Perennial, and 18th Street. New this year: Alter Brewing, 2nd Shift, Maplewood Brewing, Cruz Blanca, Motor Row, Sketchbook Brewing, Horse Thief Hollow, Urban Legend, Aquanaut, Noon Whistle, Vice District and CHAOS Homebrew Club. This year's sold out event took over the entire brewpub space, with well designated sections, much better traffic flow and shorter lines than years past. Food was available to order from the bar off of the regular menu, which was much needed half way through. 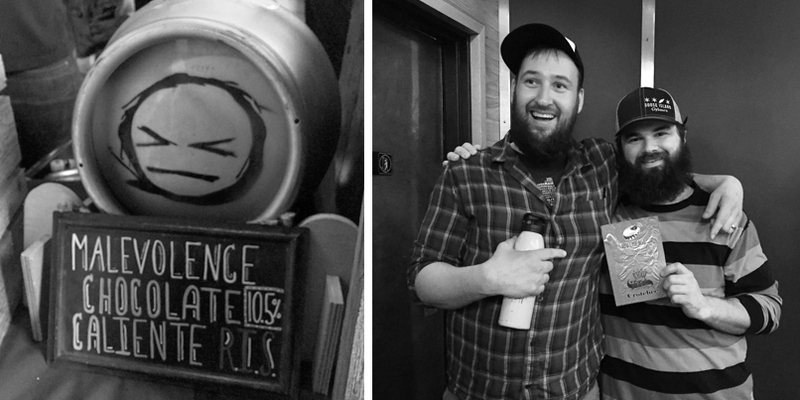 Right: Brewers John & Steve of Goose Island Clybourn being presented with an ABV Chicago "Crotchee" award. 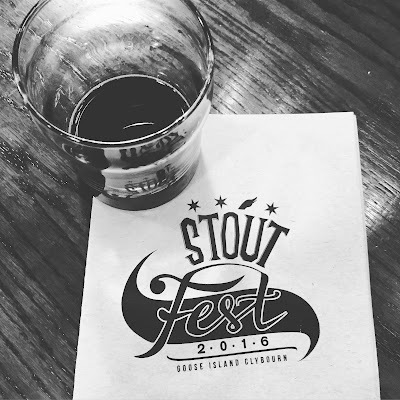 In years past the Goose Island Clybourn brewers had dominated the show for us, but we found so many creamy, balanced and flavorful stouts from neighboring tables, that it was extremely difficult to narrow down our top choices. 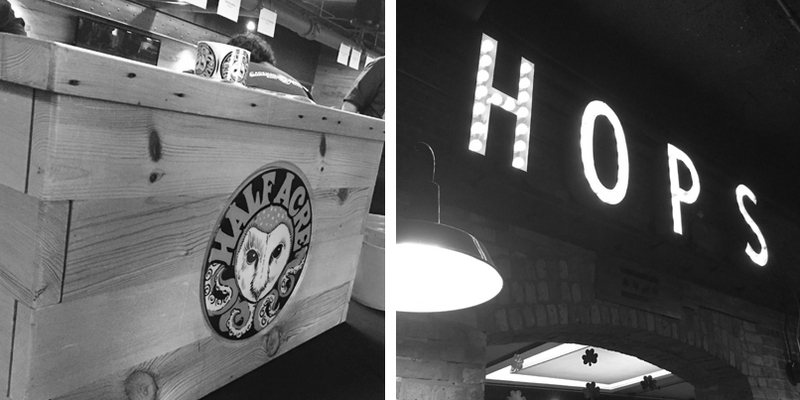 Overall a fantastic experience that we hope continues at the Brewpub. 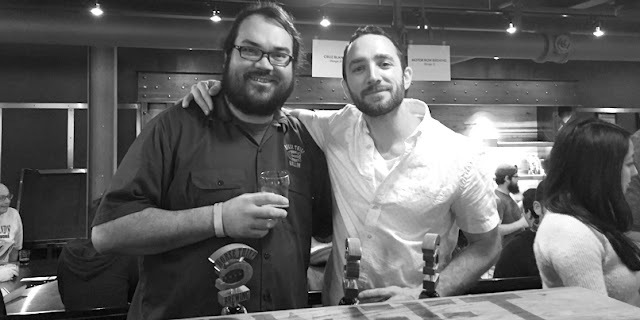 Spiteful Brewing took home the "Brewer's Choice Award." The People's Choice Awards went to Revolution Café Deth (3rd place), Spiteful Malevolence Chocolate Caliente (2nd place), and Goose Island Clybourn Propriety (1st place).